New Delhi [India] : Indian Army Director Generals of Military Operations (DGMO) Lieutenant General A.K. Bhatt on Monday met his Pakistani counterpart to discuss the current situation along the Line of Control (LoC) and highlighted needless escalations by the the Pakistan Army. Lt. General A.K. Bhatt conveyed his commitment of ensuring peace and tranquillity which is contingent on Pakistani Army's intentions and actions. 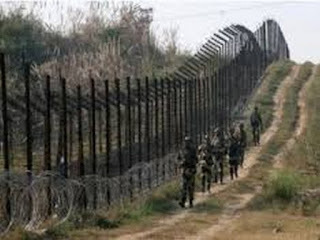 "If Pakistani Army continues to abet infiltrations and cause trans-LC firings, the Indian Army will take appropriate retaliatory," General Bhatt said. Also, needless escalations by the Pakistani Army were highlighted. On the issues raised by Pakistan Army DGMO regarding civilian killings, the Indian Army DGMO conveyed that the Indian Army is a professional and would not harm civilians in any manner.